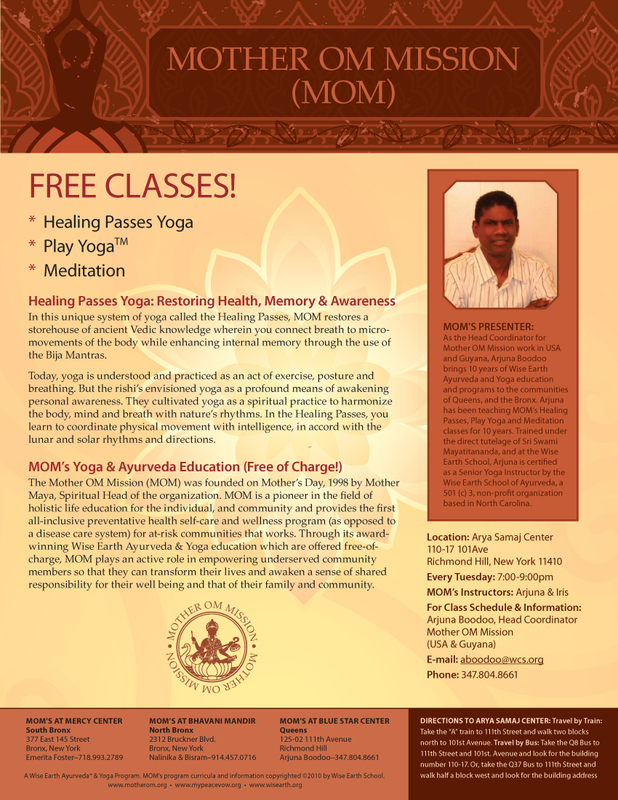 MOM's programs are sponsored by the Wise Earth School of Ayurveda and are dedicated to the teachings of holistic health education and restoration and preservation of wholesome community lifeways. The implications and applications of what we are doing at MOM goes far beyond just reversing disease. Clearly, if we can reverse the progression of disease, then we can help prevent it. Disease could be virtually eradicated if we simply put into practice what we already know. This profound realization is central to our everyday experience at MOM's. When people learn and follow MOM's Inner Medicine Healing programs, they heal.